This study attempts to identify the factors related to service performance of all the nationalized & private commercial banks of Bangladesh in a portfolio. It identifies the relationship between age, educational background, profession, and length of involvement, types of services obtained by the consumers from the banks and the service quality factors. An extensive survey has been performed with a structured questionnaire to identify the factors that differentiate the service provided by Private commercial banks(PCB’s) & nationalized commercial banks(NCB’s). The sample clients were selected from DhakaCity. 30 respondents were interviewed from several banks. In selecting sample, it was assumed that the bank clients of DhakaCity are more sensitive compared to other cities of Bangladesh, as their education level is higher. The sample clients were selected randomly at the banks while interviewing. Descriptive statistics was used in the analysis. Again observational method also used while making service portfolio data gathered from respective bank websites & several journals. Factor analysis was done to identify the service quality factors of the banks. Correlations between the factors and age, educational background, profession, length of involvement, and types of service obtained were identified to know the relationships. In order to explore the relationship & differences with the overall service performances, multiple regression analysis was performed. Results show that the most important service quality factor of banks is personal attention to the clients. It is also found that there is a significant difference between the expected and perceived service quality between PCB’s & NCB’s. A significant correlation between the performance of promises in time and professions of the consumers is observed. Perceived service quality factors have significant relationship & differences between the PCB’s & NCB’s with the overall service quality of the banks which indicates that the factors identified have strong influence on the overall service performance. Bank is very old institution that is contributing toward the development of any economy and is treated as an important service industry in modern world. In Bangladesh banks are main vehicles for mobilizing invisible funds and channel those funds to faster the growth of productive sectors of the economy in the absence of a healthy capital market. After the creation of Bangladesh, then the government nationalized all the commercial banks and financial institution functioning in the East Pakistan. But during 1982-83 government allowed commercial bank to operate in private sector side by side with the public sector banks to start a meaningful and constructive competition in the banking sector. Now about two decades in Bangladesh that bank is operating under both public and private sector. Several analysis has been done to identify which sector is able is in the lead position. But it is commonly believed that the NCBs are engulfed with the vicious problems of corruption, inefficiency, loan default e.t.c although the private commercial banks are efficient in their commercial activities and solving the problem of loan default. The economic situation facing Bangladesh as it emerged from the war of independence in 1971 included the highest rural population density in the entire world, an annual population growth rate between 2.5 and 3 percent, chronic malnutrition for perhaps the majority of the people, and the dislocation of between 8 and 10 million people who had fled to India and returned to independent Bangladesh by 1972. The new nation had experienced huge difficulties on its journey like serious shortage of essential food grains and other staples because of period of war disturbance; Foreign exchange capital were infinitesimal, there was a changeable situation in banking and monetary system. During the Mughal period, there were different types of gold coins in circulation that encouraged people to engage in monetary transactions and profit-motivated financial activities. Many individuals and some families attained special reputation in trading and in finance. One such family, that of jagat sheth, had branches of its monetary business in dhaka, Hughli and murshidabad. Mughal rulers patronised the banking business of Jagat Sheth family and others, and also used to borrow money from them when needed. People could convert their valuables, mostly gold and silver, into currency with minimum cost at Mughal mints. Monetary transactions and transfer through hundi (bill of exchange), along with cash transaction, was in vogue during the Mughal period. The revenue received from zamindars and dues there from were sent to the government treasury through family-based financial or banking institutions. People from different classes were also involved in monetary trading which helped the evolution of banking in that period. A major landmark was the establishment of the Hindustan Bank in 1700 AD at calcutta Established in 1784; the Bengal Bank was the first British-patronised modern bank in India. Dhaka Bank started to operate as a commercial bank in 1806. The Bengal Bank opened its first branch in Dhaka by purchasing Dhaka Bank in 1862. In 1873, it opened its two branches in sirajganj and chittagong. Another branch of Bengal Bank was opened in chandpur in 1900. Six branches of Bengal Bank were in operation in the Bangladesh region until the partition of bengal in 1947 and these branches were located at Dhaka, Chittagong, mymensingh, rangpur, Chandpur and narayanganj. The banking system in the territory of Bangladesh grew slowly during the British and Pakistan periods. There were only 25 bank branches in 1901 and the number grew to 668 in 1946. The banking system in Bangladesh started functioning with 1,130 branches of 12 banks inherited from Pakistan. These banks were nationalised and renamed after being merged. The the banks were the sonali bank (The National Bank of Pakistan, The Bank of Bawalpur, The Premier Bank), agrani bank (Habib Bank, Commerce Bank), janata bank (United Bank, Union Bank), rupali bank (Muslim Commercial Bank, Standard Bank), pubali bank (Australasia Bank, Eastern Mercantile Bank) and uttara bank (Eastern Banking). Bangladesh bank, the central bank of the country, was set up on 16 December 1971 by the Bangladesh Bank Order 1972. The government accepted the assets and liabilities of the Deputy Governor’s office of the State Bank of Pakistan in Dhaka and declared the Bangladesh Bank as a fully effective and permanent central bank. Some of the notable ones are; Bhattacharya (2007), Chowdhury and Islam (2007), Jahangir, Shill and Haque (2007), Chowdhury (2002), Siddique and Islam (2001), Al-Shamrnari and Salirni (1998), Avkiran (1997), Bhatt & Ghosh (1992), Hossain & Bhuiyan (1990), Swamy & Vasudevan (1985), Ahmed & Jamsheduzzaman (1985) Bhattacharya (2007) pointed out that six major recent policy measures include: reduction of bank rate and lending rate, linking classified loans to large loan sanctioning; rationalization and merger of bank branches, measures for loan recovery, and demarcation of responsibilities between the management and the board and decision on cash reserve ratio. Chowdhury and Islam (2007) stated that deposits and loan advances of Nationalized Commercial Banks (NCBs) are less sensitive to interest changes than those of Specialized Banks (SBs). So SBs should not make abrupt change in lending or deposit rates by following the NCBs. If NCBs change their lending or deposit rates, their deposits or loans and advances will be affected less than those of SBs. Moreover, deposits of NCBs have higher volume and higher volatility than those of SBs. On the other hand, loans advances of NCBs show a higher volume and higher volatility than those of SBs. However, SBs offer higher deposit rates and charge higher lending rates than NCBs. That is why the interest rate spread of SBs was higher than that of NCBs. Jahangir, Shill and Haque (2007) stated that the traditional measure of profitability through stockholder’s equity is quite different in banking industry from any other sector of business, where loan-to-deposit ratio works as a very good indicator of banks’ profitability as it depicts the status of asset-liability management of banks. But banks’ risk is not only associated with this asset liability management but also related to growth opportunity. Smooth growth ensures higher future returns to holders and there lies the profitability which means not only current profits but future returns as well. So, market size and market concentration index along with return to equity and loan-to-deposit ratio grab the attention of analyzing the banks’ profitability. Chowdhury (2002) observed that the banking industry of Bangladesh is a mixed one comprising nationalized, private and foreign commercial banks. Many efforts have been made to explain the performance of these banks. Understanding the performance of banks requires knowledge about the profitability and the relationships between variables like market size, bank’s risk and bank’s market size with profitability. Indeed, the performance evaluation of commercial banks is especially important today because of the fierce competition. The banking industry is experiencing major transition for the last two decades. It is becoming imperative for banks to endure the pressure arising from both internal and external factors and prove to be profitable. Hossain and Bhuiyan (1990) stated that there is no universally accepted operational definition of performance measures. In broad sense performance level of an enterprise can be measured by the extent of its organizational effectiveness. In the context of services rendered towards public the performance of an organization can be 2viewed as ‘the extent to which its work is carried out within established specifications for goods and services produced, to the general satisfaction of the clientele served, within given cost and time constraints, and in such a manner as to support or contribute to the achievement of the organization objectives. In measuring performance level of a bank Swamy and Vasudevan (1985) used per employee, deposits, advances, profits etc. Chowdhury (2002) observed that the banking industry of Bangladesh is a mixed one comprising nationalized, private and foreign commercial banks. Many efforts have been made to explain the performance of these banks. Understanding the performance of banks requires knowledge about the profitability and the relationships between variables like market size, bank’s risk and bank’s market size with profitability Indeed, the performance evaluation of commercial banks is especially important today because of the fierce competition. The banking industry is experiencing major transition for the last two decades. It is becoming imperative for banks to endure the pressure arising from both internal and external factors and prove to be profitable. Siddique and Islam (2001) pointed out that the Commercial Banks, as a whole, are performing well and contributing to the economic development of the country. The average profitability of all Bangladeshi banks collectively was 0.09% during 1980 to 1995 which means that a profit of TK 0.09 was earned by utilizing assets of TK 100. In every aspect of profit, banking sector contributes the national economy as well as to the individual organization. Despite overall growth of the banking sector being positive, the performances of different categories of banks were not equally attractive. Bhatt & Ghosh (1992), observed that the profitability of commercial banks depend on several factors some of them are endogenous and some exogenous. The endogenous factors represent control of expenditure, expansion of banking business, timely recovery of loans and productivity. The exogenous factors consist of direct investments such as SLR (Statutory Liquidity Ratio), CRR (Cash Reserve Ratio) and directed credit programs. Financial institutions, in recent years, have changed its mode of income; this was the result of technological innovation, deregulation and the growing dependency of individual and the country as a whole. The income stream of the FIs comes from the non-interest sources. For example US commercial bank in the year 2004 earned around 42% of operating income from non-interest sources compared to 32% and 20% only in 1990 and 1980. This indicates a new horizon generation for the FIs. Despite the fact that part of the increase in non-interest income is due to diversification into mines of business such as investment banking, venture capital and insurance underwriting, there were also significant growth in fee-paying and commission- paying service linked to traditional retail banking. Conversely, the shift towards non-interest income of US bank, in recent years, has not improved the risk-adjusted return to a greater extent. For bank, both in the US and elsewhere, several researchers have explored relationship between strategies, market conditions, technological change and risk adjusted financial performance to better comprehend their linkage. Among the motives for diversification, as found by santomero and Eckles (2000) are rapid growth objective, achieving efficiency through economies of scale and scope, and reduction of firm specific risk, etc. A number of reasons exist as to why focus versus diversification is important in the framework of FIs and banks. Focus versus diversification has been the center of recent corporate Service discussions. A large amount of evidences suggest that diversification destroys value that leads to the concept popularity termed as “diversification discount”. Several theories have explained this as risk-aversion (Amihud and Lev, 1981), managers-shareholders agency problems (Denis, Denis and sarin, 1997, and Cornett et al., 2001), and power struggles between and among different segments of any form (Rajan, Servaes and Zingales, 200). Some these researches have also tried to establish a connection between their theories and the cross-sectional variation in diversification discounts and premia. Using somewhat coarser measures, Hughes Lang, Mester and Moon (1996), Saunders and Wilson (2001), and Berger and Deyoung (2001) critically and deeply examined the geographical diversification. Whatever the impact of diversification on banks’ performance, the degree of increase or decrease in stockholders’ value in the profit making institutions is unclear. Many studies found that diversification bring a reduction in the stockholders value, result in inefficient and less profitable investment, and cross-subsidization of loss generating operation (Wernerfelt and Montgomery, Scharfstein, 1998; 1988; Berger and Ofek, 1995; Lang and Stulz, 19945; Siggelkow, 2003). Leaven and Levine (2007) conducted a rigorous study to determine the impact of diversification on the market value of large banks from 42 countries. The study of Leaven and Levine (2007) suggest that the market values of those banks were lower who were diversified compared to those where were not and thus diversification did not generate adequate economies of scope to accelerate the market valuations. Moreover, such diversification may generate agency problems in the banks (Leaven and Levine, 2007). Performance of bank has been a key issue related to the diversification debate. It is interesting to observe that many researches have found the diversified firms have profitability track compared to the non-diversified or less diversified firms. But this necessarily does not prove the matter that diversification improves or augments profitability of firms although there is an observed tendency for non-diversified to poor performs compared to their diversified. Caprio and Wilson (1997) examined the cross-country evidence of a relationship between on-balance sheet loan or credit concentration and bank insolvency. Berger, Demsetz and Stahan (1999) found that consolidation in financial services industry had been dependable on average with superior diversification of risk but could bring little or no improvements in cost efficiency. Finally, quite a few papers such as Gehrig (1998), Dell’Arricia, Friedman, and Marquez (1999), Boot and Thakor (2000) have focused on the unpleasant effect of fierce competition resulted from diversification on bank credit quality. Referring to the performance issue, Strioh (2004a), in a rigorous study on the US community banks found evidence of favorable impact of diversification within the major operational activities of banks e.g, interest bearing and non-interest transaction although such impact was not available across those broad activities. However, institutions including bank always move towards product diversification over the time to maintain competitiveness and survival this is also true as observed in the case Bangladesh. As found the literatures, this study will also focus on the impact of this study will also focus on the impact of this product & Service diversification. To measure the service performance of these NCB’s & PCB’s. To make a comparison among all the NCB’s & PCB’s based on service performance. To create a portfolio of these commercial banks those are operating in Bangladesh. To find out the roles that can be played by these banks to contribute more to the economic sector. In this study there will be a brief portfolio & comparison between Nationalized Commercial Banks & Local private commercial bank. The criteria will be product, Services, Benefits and Facilities what customers get from different banks. To test the hypothesis that clients perception about service performance of these banks whether satisfactory or dissatisfactory required primary data have been collected from published reports and annual reports of these four banks and annual report of Bangladesh bank. Secondary data have been collected by using a 5 point likert scale. This study is mainly based on both observation method based on the service provided by all commercial banks & questionnaire survey of clients all commercial banks located in Dhaka City. The expert opinion shows that there are more than 1,00,000 clients getting services from different banks operating in DhakaCity. 30 Sample clients were selected for the survey from this population. For observation method all data & sources are collected from the websites of respected PCB’s & NCB’S. It was also thought that the banks clients selected for this study are heterogeneous in terms of their accounts/ transactions with the banks. The sample clients or customers were selected from the branches of the selected banks located in DhakaCity. The sample clients were selected from the branches located in four bank clusters including Motijheel, Gulshan, Dhanmondi, and Uttara of Dhaka City. This sample includes the clients of corporate and other branches of the selected bank clusters. In selecting sample, it was assumed that the bank clients of DhakaCity are more sensitive in getting service compared to other cities of Bangladesh, as they are more with higher education. This was also proved by the research (Ruyter and Bloemer, 1997). The clients were selected randomly at ‘the spot/bank while interviewing. The number of respondents from the selected banks was determined based on the volume of financial activities performed by the banks such as, deposits and advances/loans. A questionnaire has been used to assess the service quality of the bank, where 5 points scale was used ranging from 1 (highly satisfied) to 5 (highly dissatisfied). Background information of the respondents is added with the questionnaire in order to identify the correlation with the service quality factors these data has been collected. After collecting data, a comprehensive screening process was done. Incomplete and biased data were sorted out and deleted from the data bank. Both descriptive and inferential statistics were used in the analysis. Descriptive statistics was used to depict the specific situation of specific position of the banks and other aspects relating to service performance. Both observation method & testing the hypotheses, Factor Analysis was performed with the help of sample size 30. Correlations between service quality factors and age, education, profession, length of involvement and types of services obtained were identified to know the relationships. In order to explore the relationship of the service quality factors with the overall performance of the banks, multiple regression analysis was performed. H0: Client’s perception about the service performance of these banks is not satisfactory. H1: Client’s perception about the service performance of these banks is satisfactory. The principle activities of the bank are banking and related business. The banking business includes deposits taking, extending credit to corporate organizations, retail and small & medium enterprises, trade financing project financing, lease and hire purchase financing, issuance of local and international credit cards, inward foreign remittance etc. The mode of banking includes conventional and Islamic banking. It also performs merchant banking function under the license issued by Securities and Exchange Commission, Bangladesh. Opening an account is the first step for creating a relationship between customers and the Bank. Opening of an account binds the Bank and customer into contractual relationship. But selection of customer for opening an account is very crucial for a Bank. Indeed, fraud and forgery of all kinds start by opening account. So, the Bank takes extremely cautious measure in its selection of customers. This is a Savings Scheme in which a person gets the opportunity to build up savings by contributing monthly installments and receives an attractive fixed amount at the end of a specified term. The Scheme is designed to help the fixed income group to save money and build up sizable funds with which they can go for some income generating venture to improve the quality of their life and/or meet any future financial obligations. This scheme provides a unique opportunity to the parents to make a future provision for the educational expenses of their children when they enter into Schools, Colleges and Universities out of the benefit of a small amount of savings with the Bank at an opportune moment. A short term deposit (STD) account is a running account with amounts being paid into and drawn out of the account continuously. These accounts are generally opened by Business Organization, Public Institution, and Corporate Bodies. It is an interest bearing deposit. Interest is calculated on daily basis as per Banks Prescribed Rate and is credited to account on half yearly basis. A short term deposit (STD) account is a running account with amounts being paid into and drawn out of the account continuously. Persons ordinarily resident in Bangladesh may open and maintain Resident Foreign Currency Deposit (RFCD) accounts with foreign exchange brought in at the time of their return from travel abroad. The accounts of foreign nationals residing in Bangladesh and foreign firms and companies located and operating in Bangladesh and accounts of U.N. and its organizations are, however, treated as resident accounts and kept outside the scope of Exchange Control. The accounts of Bangladesh nationals who leave the country except those who hold office in the service of Bangladesh Government are required to be treated as non-resident Taka account so long they remain outside Bangladesh. Prior permission of Bangladesh Bank is necessary for opening non-resident Taka accounts. Non-resident Taka account may, however, be opened without prior permission of Bangladesh Bank for crediting the proceeds of remittances received from abroad through normal banking channel. The depositor will have the option to choose any installment size at the time of opening of the A/C. and will not be allowed to change the size of installment afterwards. A person can also open more than one account but House Building Loan facility shall be on one account only. Account in the name of minors can be opened too under the Scheme but without insurance coverage. This is a Deposit Scheme where the depositor gets monthly benefit out of his deposit. The scheme is designed for the benefit of the persons who intend to meet the monthly budget of their families from the income out of their deposit. Different features for every bank is fixed with there respected offer & service. At present no income tax will be deducted from the interest earned. But in future for any change in the government policy Bank reserves the right to deduct income tax. The depositor will have the option to choose any installment size and period at the time of opening of the account and will not be allowed to change the size of installment afterwards. A person can open more than one account for any size of installment in any branch of the Bank. Account in the name of minors can be opened too under the Scheme as per standard procedure for minor accounts. The specified amount on maturity at any slab shall be paid after one month from the date of deposit of the final installment. The installment shall be payable by the 8th day (in case of holiday the next working day) of every month. Advance payment of any number of installments is acceptable. If a depositor fails to pay 3 (three) consecutive installments he will have to pay 5% fine of the overdue installments to regularize the account. If he fails to pay more than 3 (Three) installments he will cease to remain under the purview of the scheme and the deposit will be treated as Savings Bank deposit and interest will be paid on the deposited amount at prevailing SB A/C rate subject to completion of 1 (one) year of its opening. Foreign exchange earned through business done or services rendered in Bangladesh can not put into this account. Credits to a foreign currency account may be made against inward remittances of foreign exchange in any form or by transfer from another FC account. Local as well as foreign payments may be made freely from foreign currency accounts. No payment in foreign exchange can be made to or on behalf of any resident in Bangladesh. Payments from these accounts received by residents, unless generally or specifically authorized by Bangladesh, must be converted into Taka. Banks may pay interest on such accounts at rates determined from time to time. All non-resident Bangladesh nationals and persons of Bangladesh origin including those having dual nationality and ordinarily residing abroad are entitled to maintain interest bearing time deposit account named “Non-Resident Foreign Currency Deposit (NFCD) Account” with the Authorized Dealers. These accounts may be maintained in US dollar, pound sterling, Euro or Japanese yen; initially with minimum amount of US$ 1000 or pound sterling 500 or equivalent. No local funds from any sources other than those mentioned at (1), (4) and (5) above can be credited to NITA. No loan facilities shall be allowed by the ADs in the Non-resident Investor’s Taka Accounts. Technology is fast changing in the banking sectors. The services are now technology based service where one can get payment from every brach. If someone wants to collect cheque book then he has to follow some procedures. There is requisition form included: account title, address of the phone number, two spaces for signature of the account holder. After fill up the requisition form account holder submit the form then authorized officer verifies the signature of the account holder then cheque book is issued by the name of the account holder. One cheque book register is fully maintained by including date of issue, cheque series number, name of the account holder and signature of the account holder. Cash section is a very sensitive organ of every branch and handled with extra care. Operation of this section begins at the start of the banking hour. Cash officer begins his/her transaction with taking money from the vault, known as the opening cash balance. Vault is kept in a much secured room. Keys to the room are kept under control of cash officer and branch in charge. The amount of opening cash balance is entered into a register. After whole days’ transaction, the surplus money remain in the cash counter is put back in the vault and known as the closing balance. Money is received and paid in this section. This section is responsible to receive money from customers to deposit in their money and for many other purposed. Customers are required to fill a deposit in slip to deposit their money. After receiving the money the respective officer counts it, enters the amount of money in the register kept at the counter, seals the deposit in slip and signs on it with date and keeps the banks’ part of the slip. Other part is given to the depositor. At the end of the day entries of both of these registers are cross checked with the register kept at the cash counter to see whether the transactions are correct or not. This section is responsible to pay cash to customers whenever they come to withdraw money from their accounts. When a person comes to the bank to cash a cheque(s) he first gives it to the computer desk to know the position of the check and posting of the cheque. If the account has sufficient fund then the cheque is sent for further processing which includes verification of two different officers. If the cheque is cleared by them for payment then the cash officer enters the details of the cheque in his/her register and pay the money to the bearer. At the end of the day these registers will be compared to ensure the correctness of the entries. According to the Article 37(2) of Bangladesh Bank Order, 1972, the banks, which are the member of the clearinghouse, are called as Scheduled Banks. The scheduled banks clear the cheque drawn upon one another through the clearinghouse. This is an arrangement by the central bank where everyday the representative of the member banks gathers to clear the cheque. Banks for credit of the proceeds to the customers’ accounts accept Cheque and other similar instruments. The bank receives many such instruments during the day from account holders. Many of these instruments are drawn payable at other banks. If they were to be presented at the drawee banks to collect the proceeds, it would be necessary to employ many messengers for the purpose. Similarly, there would be many cheque drawn on this the messengers of other banks would present bank and them at the counter. The whole process of collection and payment would involve considerable labor, delay, risk and expenditure. All the labor, Risk, delay and expenditure are substantially reduced, by the representatives of all the banks meeting at a specified time, for exchanging the instruments and arriving at the net position regarding receipt or payment. The place where the banks meet and settle their dues is called the Clearinghouse. In banking business transactions are done every day and these transactions are to be recorded properly and systematically as the banks deal with the depositors’ money. Any deviation in proper recording may hamper public confidence and the bank has to suffer a lot. Improper recording of transactions will lead to the mismatch in the debit side and credit side. To avoid these mishaps, the bank provides a separate department whose function is to check the mistakes in passing vouchers or wrong entries or fraud or forgery. This department is called Accounts Department. Besides these, the branch has to prepare some internal statements as well as some statutory statements, which are to be submitted to the Central Bank and the Head Office. Yearly Budget of the Branch. Loan and advance products are given from both credit and foreign exchange department. The loan product of both the departments is given arranged in the following table. The time given for different products does vary according to the formalities required. In PBL the loans are given mostly to the known customers. So some formalities are done when the client approached first. a) Fixed term loan: These are made by the Bank with fixed repayment schedules. Fixed term loans are categorized into three based upon its tenure which is defined as follows: Short term: up to 12 months, Medium term: More than 12 and up to 36 months, Long term: More than 36 months. b) Continuing Loans: These types of loan having no fixed repayment schedule but have an expiry date. In that date those loans are renewable on satisfactory performance of the customer. Loans allowed to individual/enterprises for construction of house (residential or commercial) fall under this type of advance. The amount is repayable by monthly installment within a specified period. Such advances are known as Loan (HBL-GEN). Loans allowed to our Bank Employees for purchase /construction of house shall be headed Staff Loan (HBL-STAFF). In order to provide financial assistance to the limited income group for raising their standard of living by acquiring domestic durables like Refrigerator, T.V., Washing machine, Furniture, Computer, Motor Car, etc., Prime Bank have introduced a Scheme to improve the quality of life particularly of the fixed income earner of the society. Carry out Currency Exchanges: History shows that one of the first services offered by banks was currency exchanges, a bank stood ready to trade one form of currency, such as dollars, for another, such as Euro or Yen, in return for a service fee. Such exchanges were important to travelers in the ancient world, as they are today, because the travelers’ survival and comfort depended on gaining access to the local currency of the country or city through which they were journeying. In today’s financial marketplace, trading in foreign currency is carried out primarily by the largest banks due to the risks involved and the expertise required carrying out such transactions. Discounting Commercial Notes and Making Business Loans: Early in their history. Bankers began discounting commercial notes; in effect making loans to local merchants who sold the debts (accounts receivable) they held against their customers to a bank to raise cash quickly. It was a short step from discounting commercial notes to making direct loans to businesses for purchasing inventories of goods or for constructing new facilities. Offering Savings Deposits: One of the earliest sources of funds consisted of offering savings deposits, interest-bearing funds left with banks for a period of weeks, months, or years, sometimes bearing relatively high rates of interest. According to historical records, banks in ancient Greece paid as high as 16 percent in annual interest to attract savings deposits from wealthy patrons and then made loans to ship owners sailing the Mediterranean Sea at loan rates double or triple the interest rate that bankers were paying to their savings deposit customers. Safekeeping of Valuables and Certification of Value: During the middle Ages, banks began the practice of holding gold, securities, and other valuables owned by their customers in secure vaults. They would also, when asked, assay the market value of their customers’ valuables, especially gold and jewelry, and certify whether or not these so-called “valuables” were worth what others had claimed. Supporting Government Activities with Credit: During the middle Ages and the early years of the Industrial Revolution, the ability of bankers to mobilize large amounts of funds and make loans came to the attention of governments in Europe and America. Frequently, banks were chartered under the proviso that they would purchase government bonds with a portion of any deposits they received. This lesson was not lost on the fledgling American government during the Revolutionary War. During the Civil War, Congress created a whole new federal banking system, agreeing to charter national banks provided these banks purchased government bonds, which were used to help fund that war. Offering Checking Accounts (Demand Deposits): The Industrial Revolution in Europe and the United States ushered in new banking practices and services. Probably the most important of the new services developed during this period was the demand deposit, a checking account that permitted the depositor to write drafts in payment for goods and services that the bank had to honor immediately. Offering demand deposits proved to be one of the industry’s most important services because it significantly improved the efficiency of the payments process, making business transactions easier, faster, and safer. Now the checking account concept has been extended to the Internet and to so-called smart cards, which represent funds that can be spent electronically to pay for purchases of goods and services. Offering Trust Services: For many years banks have managed the financial affairs and property of individuals and business firms in return for a fee that is often based on the value of properties or the amount of funds under management. This property management function is known as trust services. Most banks offer both personal trust services to individuals and families and commercial trust services to corporations and other businesses. Through a personal trust department, customers can set aside funds for the education of their children, for example, with the bank managing and investing the money until it is needed. Even more commonly, banks act as trustees for wills, managing a deceased customer’s estate by paying claims against the estate, keeping valuable assets safe and productively invested, and seeing to it that the legal heirs receive their rightful inheritance. In their commercial trust departments, banks manage security portfolios and pension plans for business firms and act as agents for corporations issuing stocks and bonds. !his requires the trust department to pay interest or dividends on the corporation’s securities and retire maturing corporate securities by paying off their holders. Internet Banking: Customers need an Internet access service. As an Internet Banking customer, he will be given a specific user ID and a confident password. The customer can then view his account balances online. It is the industry-standard method used to protect communications over the Internet. Home Banking: Home banking frees customers of visiting branches and most transactions will be automated to enable them to check their account activities transfer fund and to open L/C sitting in their own desk with the help of a PC and a telephone. Electronic Banking Services for Windows (EBSW): Electronic Banking Service for Windows (EBSW) provides a full range of reporting capabilities, and a comprehensive range of transaction initiation options. The customers will be able to process all payments as well as initiate L/Cs and amendments, through EBSW. They will be able to view the balances of all accounts, whether with Standard Chartered or with any other banks using SWIFT. Additionally, transactions may be approved by remote authorization even if the approver is out of station. Automated Teller Machine (ATM): Automated Teller Machine (ATM), a new concept in modern banking, has already been introduced to facilitate subscribers 24 hour cash access through a plastic card. The network of ATM installations will be adequately extended to enable customers to non-branch banking beyond banking. Tele Banking: Tele Banking allows customers to get access into their respective banking information 24 hours a day. Subscribers can update themselves by making a phone call. They can transfer any amount of deposit to other accounts irrespective of location either from home or office. Swift: Swift is a Bank owned non-profit co-operative based in Belgium servicing the financial community worldwide. It ensures secure messaging having a global reach of 6,495 Banks and Financial Institutions in 178 countries, 24 hours a day. SWIFT global network carries an average 4 million message daily and estimated average value of payment messages is USD 2 trillion. Swift is a highly secured messaging network enables Banks to send and receive Fund Transfer, L/C related and other free format messages to and from any banks active in the network. Having SWIFT facility, Bank will be able to serve its customers more profitable by providing L/C, Payment and other messages efficiently and with utmost security. Especially it will be of great help for our clients dealing with Imports, Exports and Remittances etc. Granting Consumer Loans: Historically, most banks did not actively pursue loan accounts from individuals and families, believing that the relatively small size of most consumer loans and their relatively high default rate would make such lending unproved- table. Early in this century, however, bankers began to rely more heavily on consumers for deposits to help fund their large corporate loans. Then, too, heavy competition for business deposits and loans caused bankers increasingly to turn to the consumer as a potentially more loyal customer. Financial Advising: Bankers have long been asked for financial advice by their customers, particularly when it comes to the use of credit and the saving or investing of funds. Many banks today offer a wide range of financial advisory services, from helping to prepare tax returns and financial plans for individuals to consulting about marketing opportunities at home and abroad for their business customers. Cash Management: Over the years, banks have found that some of the services they provide for themselves are also valuable for their customers. One of the most prominent examples is cash management services, in which a bank agrees to handle cash collections and disbursements for a business firm and to invest any temporary cash surpluses in short- term interest-bearing securities and loans until the cash is needed to pay bills. While banks tend to specialize mainly in business cash management services, there is a growing trend today toward offering similar services for consumers. Offering Equipment Leasing: Many banks have moved aggressively to offer their business customers the option to purchase needed equipment through a lease arrangement in which the bank buys the equipment and rents it to the customer. Regulations originally required customers using equipment leasing services to make lease payments that would eventually cover the full cost of purchasing the rented equipment and to be responsible for any repairs and taxes incurred. Making Venture Capital Loans: Increasingly, banks have become active in financing the start-up costs of new companies, particularly in high-tech industries. Because of the added risk involved in such loans, this is generally done through a venture capital firm, a subsidiary of a bank holding company such as Citigroup Venture, Inc. Bankers may also bring in other investors to help share the risk. Selling Insurance Services: For many years, bankers have sold credit life insurance to their customers receiving loans, thus guaranteeing loan repayment if borrowers die or become disabled. Moreover, in the 19th and early 20th century, many bankers sold insurance and provided financial advice to their customers, literally serving as the local community’s all-around financial service store. Selling Retirement Plans: Bank trust departments are active in managing the retirement plans that most businesses make available to their employees, investing incoming funds and dispensing payments to qualified recipients who have reached retirement or become disabled. Banks also sell deposit retirement plans (known as IRAs and Keoghs) to individuals holding these deposits until the funds are needed for income after retirement. Offering Mutual Funds and Annuities: Concerned that many banks have offered too-low interest rates on traditional deposit accounts, many customers have come to demand so-called investment products from their banker, especially mutual fund accounts and annuities that offer the prospect of higher yields than are currently available on conven­tional bank deposits. These products also carry more risk. Annuities consist of long-term savings plans that promise the payment of a stream of income to the annuity holder begin­ning on a designated future date (such as at retirement). In contrast, mutual funds are pro­fessionally managed investment programs that acquire stocks, bonds, and other securities that appear to “fit” the funds’ announced goals (such as to maximize income or to achieve long-term capital appreciation). Some banking firms have organized special subsidiary organizations to market these services (e.g., Citicorp’s Investment Services) or entered into joint ventures with security brokers and dealers. Offering Merchant Banking Services: Bank today are following the foot­steps of leading financial institutions all over the globe in offering merchant banking services to larger corporations. These services are officially defined as the temporary purchase of corporate stock to aid the launching of a new business venture or to support the expansion of an existing company. Hence, a banker providing this service becomes a temporary stockholder and bears considerable risk that the stock purchased may decline in value. In practice, merchant banking services often encompass the identification of possible merger targets, providing strategic marketing advice, and offering hedging ser­vices to help customers manage risk, especially the risk of loss due to changing currency prices and interest rates. There are some limitations of Nationalize Commercial Bank that’s why Nationalize Commercial Banks offer fewer services than the Private Commercial Banks to public.Thats are under describe. Automated Teller Machine (ATM): Automated Teller Machine (ATM), a new concept in modern banking, has already been introduced to facilitate subscribers. But only one Nationalize Commercial Bank (NCB) offers this service. Granting Consumer Loans: Historically, most banks did not actively pursue loan accounts from individuals and families, believing that the relatively small size of most consumer loans and their relatively high default rate would make such lending non profitable. Lack of law in necessary defaulting loan. Recovery the Defaulters loan is a prolonged procedure. There is lack of honest, sincere & capable entrepreneur. Nepotism & favoritism in recruitment, selection & promotion policy. Lack of honesty, sincerity & commitment of bank officials. 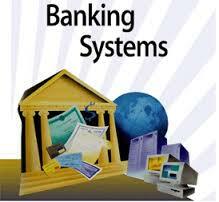 Nationalized commercial banks in our country are facing problem regarding their technological in advancement. Their employee has lack of IT knowledge. Each and every process done in these banks are manual not automated. So it takes much longer time to do any task by bank. NCB in our country dose not have enough skilled manpower. They don’t have highly qualified designated person. So they are facing problems regarding decision taking. NCB has huge number of branches in different sectors in our country. But profits are not coming from all of these branches. Some of these branches are called loosing branch. These branches are mainly opened because of providing social welfare to distinct areas of our country. But these branch are generating severe losses in every year and because of that total net profits of NCB goes down. The internal environments of NCB are not so reach. They are having problems regarding enough free space. They have lack of systematic management services due to handling their huge number of clients. Only NCB is financing the agricultural sector in Bangladesh which is totally non-profitable business for any bank. Sonali bank is providing in much greater extent than any other NCB. So it also brings losses for our state owned banks. Interest rate of NCB is much lower than any other private commercial bank in Bangladesh. Their highest interest rate is 13% where as private commercial bank charge around 18-18.5%. And for rural development state owned banks charge around 8% interest rate (for agro based sector) and most of the time these loan are default. So it also a loss project for NCB. The compensation package for the employee of NCB is not satisfactory. That’s why it does not bring any motivation to them. And the result is these people are providing poor service which ultimately effects the reputation of the bank. We have surveyed on 30 recipients and they are mostly ranged between 20-30 years and 30-40 years. We have surveyed on 30 recipients and on this surveyed both male and female customers are involved. In the figure we can see that male customer was 70% and female was 30%. The education level of our surveyed recipients are mostly Graduate and Post Graduate(60%). Customer income level ranges mostly 15000-25000 Taka and 25000-35000 Taka. 30 % of the respondents respond that they got service from national commercial banks & 70 % of the respondents think that they get services from private commercial banks. How would you assess the greeting from the bank employee while you enter any private commercial bank? In. the figure we can see that 71.4% customers said good, 28.6% customers said Average. How much time do you have to wait in the private commercial Bank to get your work done? In the table we can see that 28.6% customers said average time and 71.4% customers said short time. In table we can see that most of the 28.6% customers said they are satisfactory and 71.4% customers said they are friendly. How knowledgeable are the employees of private commercial bank in answering your enquiries/questions? In the table we can see that most of the 71.4% customers said they are good and 28.6% customers said they are satisfactory. Do you think the private commercial bank ATM service is easy to access? In the table we can see that most of the 71.4% customers said good, 28.6% customers said satisfactory. Are you satisfied with the installment procedure and interest rate that you have to pay after taking loan in private commercial bank? In the table we can see that most of the 57.1% customers said they are good, 42.9% customers said they are satisfactory. Correlation (often measured as a correlation coefficient, ρ) indicates the strength and direction of a linear relationship between two random variables. The objective of this procedure is to examine the inter consistency among Independent Variables. First of all the most important perspective that customer’s are looking for now a days are diversified products. Because diversified products offers a consumer number of different facilities. Now a days PCB is very effectively maintaining this business from this perspective. But we are not saying that Islami Bank or Foreign Bank or NCB does not have diversified products. They all have differentiated products all over Bangladesh but in terms of PCB it is less. Then we are saying about services. Now a day a consumer wants to go that bank which can give him a better and quick service. From this perspective PCB is maintaining its leading position because NCB is not that much efficient in providing better and quick service. Some of the well-known PCB is providing online Banking. Through online banking facility a client can easily transfer his money from one account to another account instantly. So he doesn’t need to go to the bank and deposit money and waiting for the transfer process. For an example Dhaka Bank, Dutch Bangla Bank is providing this type of facility. So far it is not provided by any NCB or FB or IB. So customer prefers to go in PCB. When a customer wants to be a client in any particular bank he wants to avoid all types of harassments. For example to open an account is much easier in any PCB then NCB. So still in this case consumers prefer PCB. From the perspective of consumer perception, some customer has the perception that it is better to go in NCB than PCB. Even though they aware of the products and service of PCB, they still wants to be a client of NCB. In our country many customer has less reliability on PCB than NCB. They think that any time CB could be bankrupted. If it happens then they will lost all their invested money and these money can be never recoverable. As there is no chance to be bankrupted in case of NCB, so they prefer to go NCB. Another perspective is loan scheme. Most of us have a tendency to take loan when we are falling in any financial crisis. So we sort out those banks who are giving loan with less interest rate. In case of NCB, they have much lower interest rate than PCB. So consumer prefers to go in NCB. *Overall Environment of the bank. They should work without any influence of political leader & There directors. Government should create some law to recover defaulting loan. Nepotism & favoritism in recruitment, selection & promotion policy should be avoided. They should increase their service level. Their employees should be more honest, sincere& committed. One of the most positive sight of NCB is they have nationwide network which is not available among any private commercial bank. Sonali bank has around 1180 branch, Janata bank has around 800 and Agrani has around 600-650 branches. If it is possible to generate profit from all of these bracnhes it will highly increase their profit margin. Some of their branches are loosing branch. If somehow they can close those branches or merge with another profitable branch then these banks can reduce their losses. As previously mentioned in one of the major problems that lack of skilled manpower but these banks has experienced manpower which is a big asset for them. If they could bring more experienced manpower for their top management than chances of taking wrong decision will be reduced and they can minimize their risk of having loss in many different projects. As we all know export and import business can’t run without L/C and L/C requires international reputation which is available among NCB. Basically Sonali bank has got the highest international reputation. For these reason they don’t need to submit their creditworthiness in the international market. If this system can be more flexible for other stated owned banks than their reputation will also is well-recognized. Another plus point for NCB is trustworthiness. Mass people rely on NCB with their eyes close because there is no chance of liquidation. So investment in these banks is totally risk free. But sometimes it not happens the way we think. Few years back we have seen that Rupali Bank was a state-owned bank. But for some reason they were in a situation of bank craft. Their chance of recovery rate was only 40%. That’s why now it is privatized. Now government owned 49% and private owned 51%. So to avoid these types of risk and also to maintain the trustworthiness among people NCB should bring efficiency in their management system and provide better cliental service. The aspiration with which this project paper has been prepared is to provide readers an overview regarding Differences between Private Commercial Banks and Nationalized Commercial Banks & to provide a service based portfolio of NCB’s & PCB’s. The study tried to find out all major problems and challenges that different bank are facing now a days. The study tried to give some necessary recommendation from my point of view. Finally after describing comparative performance evaluation of different banks the study makes a comparison between different banks in our country. As because development of a bank is a complex process requiring a strong dedication to learning, sharing of knowledge and being responsive to the needs of the people. So Banks need to place a strong emphasis on their organizational development. Hope that this effort will be beneficiary to the readers who are willing to know the problems and challenges that different banks are facing in our country and their performance aspects of banking sector and have a foresight based on that. It is mentioned earlier that service quality is the difference between the expected and perceived services.. The analysis also identified five perceived service quality factors such as, reliability, assurance, responsiveness, empathy and tangible bank facilities. These findings do not exactly match with the findings of Parasuraman and Zeithaml’s (1985) five dimensions of service quality. The reasons could be attributed by the contextual and the cultural differences. Perceived service quality factors including personal attention to the clients and tangible physical facilities are similar to the expectations of the bank clients. However, bank clients expect that the bank employees will perform their promises in time, be courteous and knowledgeable in handling the banking operation, which are absent in the banks located in DhakaCity. Among the expected service quality factors, performing promises by the employees is the most important factor. Promise or commitment of the employees is reflected when they show sincere interest to solve the problems of the clients. When the employees fail to serve according to the desire of the clients it is perceived that the service is poor. If the employees fail frequently to meet the commitment, clients become frustrated and they lose the trust on the services provided by the bank. This indicates that the promise of the employees should be performed timely and accurately without any failure. Islam, N and Saha, G C (2000), “Service Quality of Life Insurance Companies in DhakaCity”, Asian Profile, Vol. 28, No. 2, pp. 149-158. Juran, J (1988), Juran on Planning for Quality, American Society for Quality Control. Milwaukee, WI. Juran, J (1992), Juran on Quality by Design, Free Press, New York. Khader, S A (1997), “Total Quality Management and Beyond, Management and Productivity Enhancement-New Approaches”, Asian Productivity Organization, Tokyo, pp. 30-72. Lewis, P E (2001), “An Extension to the Process of Customer Service Quality Evaluation Through Psychology and Empirical Study”, Asia-Pacific Advances in Consumer Research, Vol. 4, pp. 281-287. Liljander, V (1995), A Comparison Standard’s in Perceived Service Quality, Publication of the SwedishSchool of Economics and Business Administration, Helsinki, Finland, No. 63. Mentzer, J T, Bienstock, C C and Kahn, K B (1993), “Customer Satisfaction/ Service Quality Research: The Defense Logistics Agency”, Journal of Consumer Satisfaction, Dissatisfaction and Complaining Behavior, Vol. 6, pp. 43-49. National Commission Report (1985), “Money, Banking and Credit: Appraisal of Customers’ Services of Scheduled banks of Bangladesh”, Bangladesh Institute of Bank Management, Dhaka, Bangladesh. Nunnally, J C (1978), Psychometric Theory, New York; McGraw-Hill Book Co.
Amihud, Y. and B. Lev. 1981. Risk Reduction as a Managerial Motive for Conglomerate Mergers. Bell (RAND) Journal of Economics, pp.605–617. Berger, A. and R. DeYoung. 2001. The Effects of Geographic Expansion on Bank Efficiency. Working Paper, Board of Governors of the Federal Reserve System. Berger, A., Demsetz, R. and P. Strahan. 1999. The Consolidation of the Financial Services Industry: Causes, Consequences, and Implications for the Future. Working Paper, Board of Governors of the Federal Reserve System. Boot, A. and A. Thakor. 2000. Can Relationship Banking Survive Competition? Journal of Finance, 55 (2), 679–713. Caprio, G. and B. Wilson. 1997. On Not Putting All the Eggs in One Basket: The Role of Diversification in Banking. Working Paper, World Bank. Dell’Arricia, G., Friedman, E. and R. Marquez. 1999. Adverse Selection as a Barrier to Entry in the Banking Industry. RAND Journal of Economics, 30, 515–534. Denis, D., Denis, D. and A. Sarin. 1997. Agency Problems, Equity Ownership and Corporate Diversification. Journal of Finance, 52(1), pp. 135–160. Gehrig, Thomas. 1998. Screening, cross-border banking, and the allocation of credit. Research in Economics, Elsevier, vol. 52(4), pages 387-407, December. Hughes, J., Lang, W., Mester, L. and C. Moon. 1996. Safety in Numbers? Geographic Diversification and Bank Insolvency Risk. Working Paper, Federal Reserve Bank of Philadelphia. Rajan, R., Servaes, H. and L. Zingales. 2000. The Cost of Diversity: The Diversification Discount and Inefficient Investment. Journal of Finance, 55(1), 35–80. Saunders, A. and B. Wilson. 2001. An Analysis of Bank Charter Value and Its Risk Constraining Incentives. Journal of Financial Services Research, April/June, 185–195. Wernerfelt, B., Montgomery, C.A., 1988. Tobin’s q and the importance of focus in firm performance. American Economic Review 78, 246–250. Lang, L.H., Stulz, R.M., 1994. Tobin’s q, corporate diversification, and firm performance. Journal of Political Economy 102, 1248–1280. Berger, P.G., Ofek, E., 1995. Diversification’s effect on firm value. Journal of Financial Economics 37, 39–65. Scharfstein, D.S., 1998. The dark side of internal capital markets II, NBER Working Paper No. 6352. Siggelkow, N., 2003. Why focus? A study of intra-industry focuses effects. Journal of Industrial Economics 51, 121–150. Santomero, A.M., Eckles, D.L., 2000. The determinants of success in the new financial services environment: now that firms can do everything, what should they do and why should regulators care? Federal Reserve Bank of New York, Economic Policy Review, 6, No. 4. Stiroh, K.J., 2004a. Do community banks benefit from diversification? Journal of Financial Services Research 25, 135–160. Stiroh, K.J., 2004b. Diversification in banking: Is non-interest income the answer? Journal of Money, Credit and Banking 36 (5), 853–882. Mercieca, S., Schaeck, K., Wolfe, S., 2007. Small European banks: Benefits from diversification and the regulatory environment. Journal of Banking and Finance 31, 1975–1998. Laeven, L., Levine, R., 2007. Is there a diversification discount in financial conglomerates? Journal of Financial Economics 85, 331–367. Esho, N., Kofman, P., Sharpe, I.G., 2005. Diversification, fee income and credit union risk. Journal of Financial Services Research 27, 259–281. http://www.prime-bank.com/the_bank.htm/Reading Materials on Foreign Exchange & Credit Department.